If you're like many Americans, you've had your fair share of battles with weight. Whether it's a few pounds or a hundreds of pounds, we've all struggled to achieve and maintain a weight that allows for optimal health. Being overweight can lead to more serious medical conditions, and can increase your chances of heart attack, stroke, and type 2 diabetes. With close to two thirds of the US population classified as overweight or obese, this is a problem of epidemic proportion that doesn't seem to have an end in sight - and possibly due to a sinister reason. The main problem with diets is, they are diets! They are marketed and sold as short-term fixes. Your weight struggles didn't happen overnight. The extra pounds are a response to environmental and emotional stressors, as well as hormonal imbalances which can't be controlled or corrected by following a general diet. Effective weight management can only be achieved through adopting a lifestyle that encourages and promotes healthy weight. This means embracing a lifestyle that includes a healthy diet—in the sense of foods you consume, as opposed to being on a diet where you restrict caloric intake for short-term losses. It means detecting and removing the environmental stressors, correcting emotional distress, and working to create hormonal balance so your body is no longer fighting against itself. How does Functional Medicine approach weight management? Our approach starts with testing your body to understand how it metabolizes food. We measure thyroid function, cortisol levels, and insulin resistance to determine if those factors are contributing to your weight gains. Then we develop a medically guided lifestyle plan that is created for your body. The plan includes educating you to know what foods to eat to get healthy, and which foods to avoid so you stay healthy. So you're going to make me cut foods out. Isn't that a diet? In the very beginning stages of your customized weight optimization plan, you may need to temporarily eliminate some foods to allow your body to heal. This is especially true when your cortisol hormone levels are very high throughout the day, which causes chronic inflammation, and that is one of the main causes of excessive weight gain. Once the inflammation has been cleared, we slowly reintroduce those foods to see how your body handles them. In cases where your body has an intolerance or allergy to something like gluten, then that will require a life-long change, because your body does not process that protein correctly. We elimate the things that trigger inflammation and lead to weight gain. That's where this differs from a diet that restricts calories, because to have life-long results, it means you have to make lifestyle changes that you will follow for the rest of your life. Common foods that cause inflammation are wheat and most grains, dairy, and sugar. Those items are among the first to be removed from your lifestyle, and once you are feeling the positive effects of this, you may never want to let them back in. Ok. So what can I eat? We have custom tailored meal plans and recipes that make your new lifestyle easier to embrace. The meals are tested and delicious, and will help you to develop healthier eating habits that reinforce this healthy lifestyle. Anytime you introduce positive changes that will have a profound effect on your life, there is going to be some potential to be overwhelmed. We are here to guide and support you through the most challenging part of this lifestyle change. Follow-up testing is recommended to check metabolism rates, heart health, adrenal and thyroid levels, and to measure your progress and keep you on track. Can I just do a surgery? Surgery and invasive procedures should be avoided because they don't address the root cause of the condition. So while the weight will come off due the severe caloric restrictions demanded by physically altering the size of the stomach, the weight will come back if you continue to eat the same foods that caused the weight gain to begin with. Ready to Reveal a New You? Dr. Kristen Lindgren has helped hundreds of patients achieve their optimal weight. And reveal your new self. 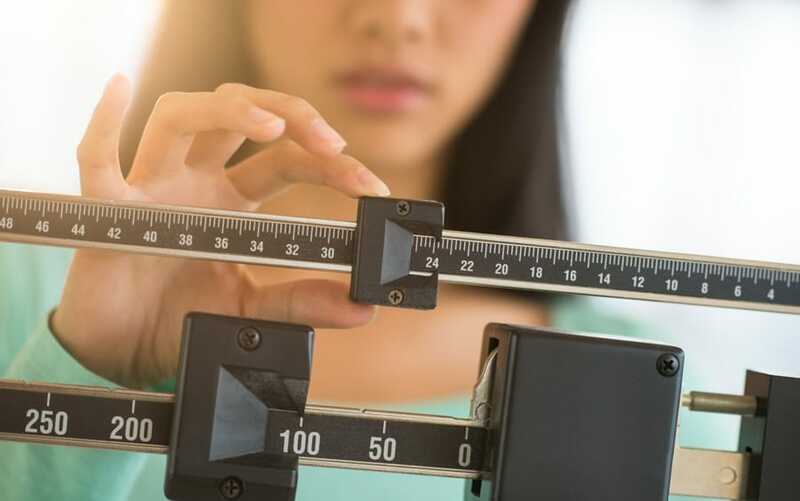 Weight gain can be caused by hormonal imbalances - specifically the hormone cortisol, which when it's present all the time, creates chronic inflammation that contributes to weight gain, as well as other serious conditions. Anyone who promises weight loss without some kind of work is flat out lying to you. To achieve optimal weight management requires a change in lifestyle that lasts a lifetime. When you are active, you are burning calories and building muscle - and that in turn helps to burn more calories and increase your metabolism. Keep a log of the foods you eat. This will help you visualize the total amount of calories you ingest on a daily basis, and may also help to determine if there are any trigger foods that cause headaches, digestion issues, or even allergic reactions. Humans have been conditioned over thousands of years to follow an internal clock, known as circadian rhythm - it tells us when to sleep, and also regulates when we should eat. Some studies show that eating dinner as close to sundown as possible, and then not eating again until sunrise, has a significant effect on metabolism and mental health. Having a friend or finding weight loss buddy is a great way to lose weight. You can help support each other and make sure you stay on track!